Jakarta Provincial Government, changed the name of the three reclamation areas known as Island C, Island D, and Island G. In details, the Island C was transformed into Pantai Kita, Island D became Pantai Maju, and Island G became Pantai Bersama.
" The region will later have a characteristic in which our citizens feel the sea, the beach, and feel the progress together"
Jakarta Governor, Anies Baswedan disclosed that it is conducted to correct the perception that the results of reclamation in Penjaringan Sub-district, North Jakarta, are coastal areas, instead of a whole island. "It also has a basis for the future of Jakarta. 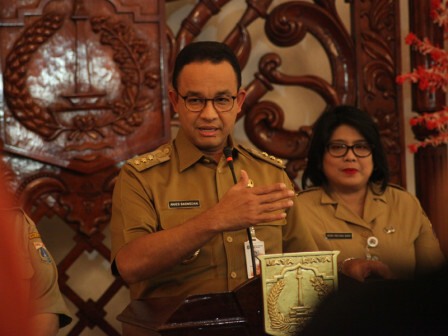 The region will later have a characteristic in which our citizens feel the sea, the beach, and feel the progress together," he expressed, at Jakarta City Hall, Monday (11/26). He explained that it has a legal protection in the form of Gubernatorial Decree Number 1744/2018 on Naming of Pantai Kita, Pantai Maju, and Pantai Bersama in North Jakarta by the Governor. "These regions are open for public," he told. The city also issued a Gubernatorial Regulation Number 120/2018 on Assignment of Jakarta Propertindo Limited Liability Company in the Management of the Reclamation Land of the North Coast of Jakarta. "PT Jakpro (Jakarta Propertindo) has a basic legal to move and later they can plan and execute. In the near future, I want Jakpro to soon develop basic rights such as roads, pedestrian lanes and bike tracks," he stated.